Juggling a career and a family can be challenging. But some employers are making it much easier for women to achieve a healthy balance between the two. 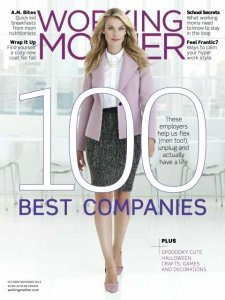 Working Mother magazine recently identified the 100 best companies for working moms, to honor those that are setting the standard for work-life practices in the US. “These companies recognize that helping employees integrate home and work leads to a more successful business and culture,” says Carol Evans, president of Working Mother Media, in a press release. To compile the list, which is now in its twenty-ninth year, Working Mother surveyed more than 200 companies on their leave policies, workforce representation, benefits, childcare, advancement programs, and flexibility policies, among other things — as well as the availability, usage, and tracking of these programs. 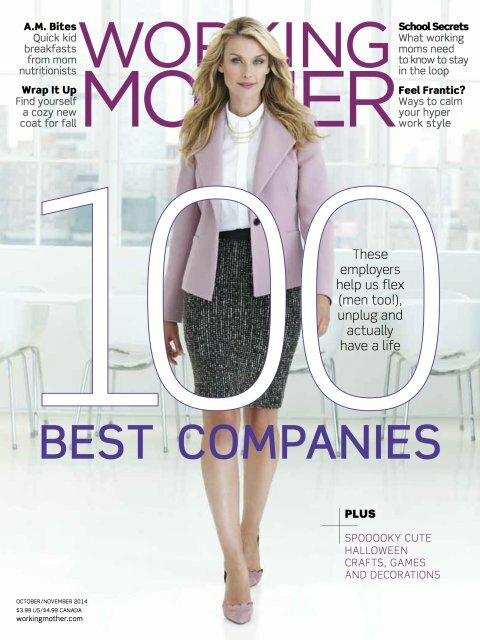 “We compile this list to raise awareness of the issues that working mothers and all employees face in the workplace, and to encourage the development programs to address these issues,” Jennifer Owens, editorial director of Working Mother Media, told Business Insider. In total, these 100 companies employ almost 2.1 million people in 15 industries. About one million, or 46% of them are women. On average, these companies offer seven weeks of fully paid maternity leave, and three weeks of fully paid paternity leave. Many also give new moms additional, partially paid time off (six weeks, on average) — and offer an average of five weeks of fully paid adoption leave, according to Working Mother magazine.